Nick Bannikoff joined BrandCulture in 2014, and over the past few years he’s made a gargantuan contribution to our studio’s many achievements, mentoring our design team while contributing to some of Sydney’s most significant environmental design and wayfinding projects. In recognition of Nick’s talents, we are delighted to announce that he is stepping into a new role as BrandCulture’s Design Director. “Since joining four years ago, Nick’s contribution to the growth and evolution of BrandCulture has been immense. 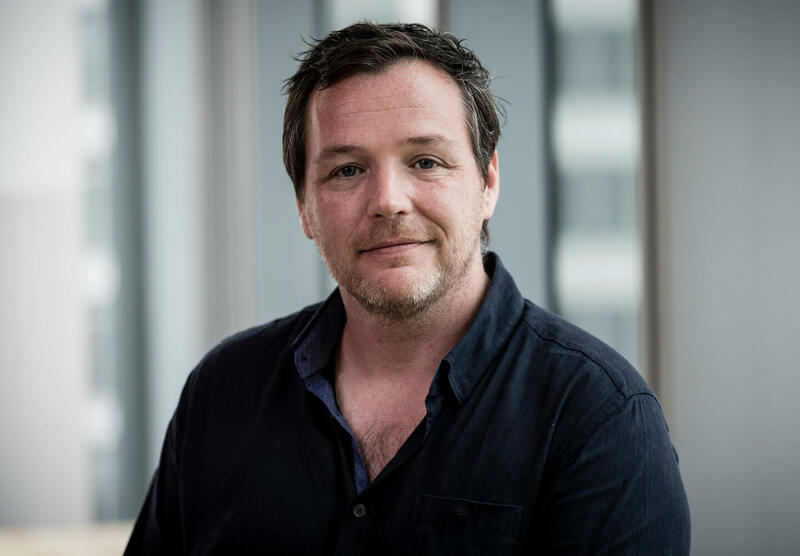 He is a passionate designer, a generous leader and one of the loveliest blokes in our industry so his promotion is well deserved,” says Stephen Minning, Director of BrandCulture. As Design Director, Nick will lead a team of designers while shaping meaningful environments for clients like UTS, Newmarket Randwick, Cumberland Council, Lane Cove Council and Transport for NSW – to name just a few current projects. Nick originally studied architecture, followed by industrial design, before stumbling upon his true calling as a wayfinding and experiential graphic designer. Since graduating in 1991, he’s planned signage and environmental graphics for parks, retail centres, campuses, mixed-use developments, cities – even the odd small country – for clients like SOCOG, the State of Qatar and City of Melbourne. In 2017, Nick was also elected co-Chair of the Society for Experiential Graphic Design’s (SEGD) Sydney chapter. SEGD exists to educate, connect and inspire design professionals with over 1,800 members in 35 countries. Congratulations on your new role, Nick!